I keep forgetting to take photos of my clothes! After all this time, I still feel so awkward posing in front of the camera. I keep hearing Tyra Banks's voice in my head: "Are you showcasing the dress best? Is your neck elongated? Is your face fierce?" Top Model has ruined me forever. Meeting. 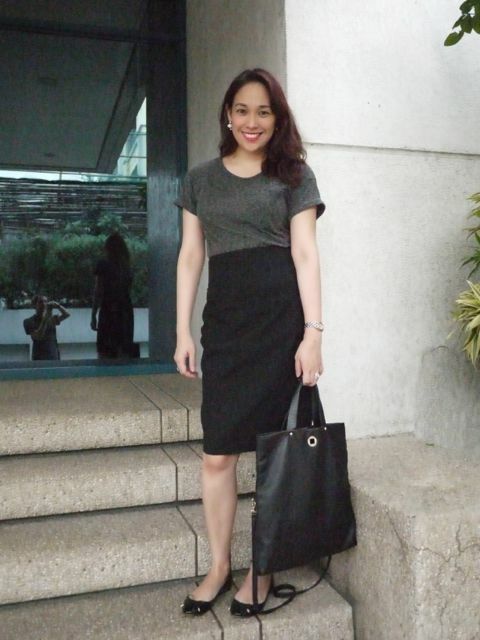 Topshop T-shirt, Zara pencil skirt, Zara ballet flats, Kate Spade tote. Shopping. 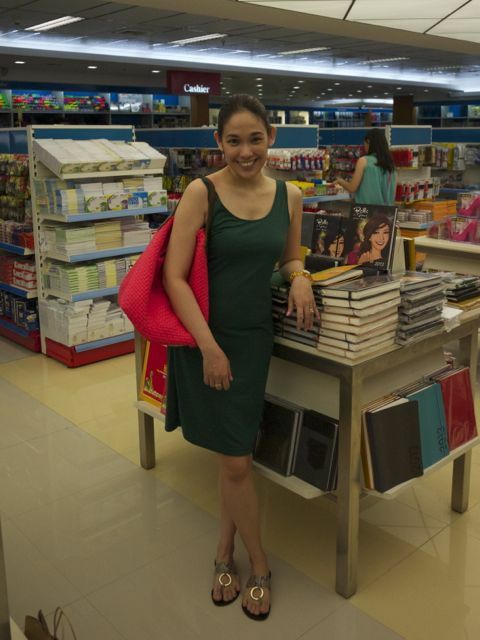 K & Company dress, Charles & Keith sandals, Amina Aranaz Rags to Riches woven bag. I'll write about this fun shopping trip next week! Event. Zara dress, The Ramp flats, fascinator courtesy of SM Babies. 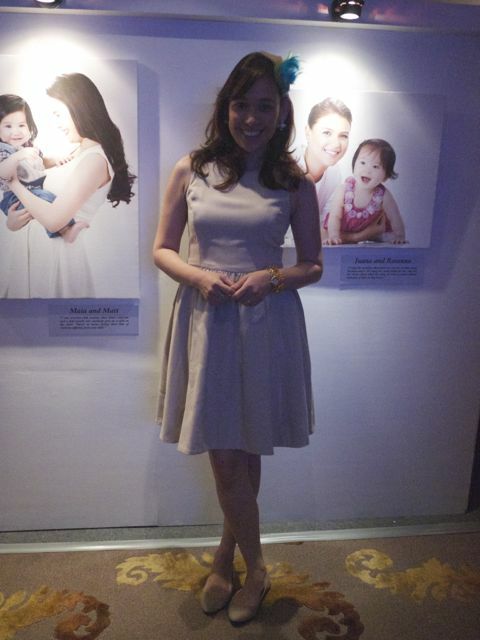 The event was for the launch of SM Babies. 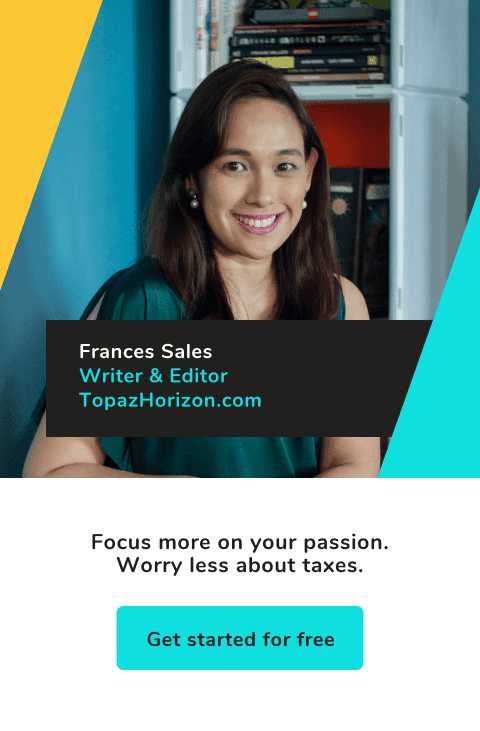 I'll write about it on Topaz Mommy next week (meanwhile, check out its new look!). I must improve my pose! I must improve where I take these photos. I must always do it in light!!! Anyway, I miss accessories. I haven't been able to use my earrings, bracelets and necklaces. Bracelets dig into my bony wrist when I'm carrying the kids. Necklaces get chewed on. Earrings are pulled at. So I've been left with just dresses. I guess this means I must start using fabulous bags! But let me edit my current collection first. Then we'll see! Thanks, thanks =) Not so nice shots actually. Must take better shots next time! Hi Mommy Frances! I used to miss wearing accessories din then I saw a mom-entrepreneur selling handmade scarf necklaces and bracelets on Facebook. Got myself a couple and now I don't worry too much when my 8 month old plays with them while I carry her. Baka you'll be interested. Her shop is Simone's Closet. I just found your blog and I love it! 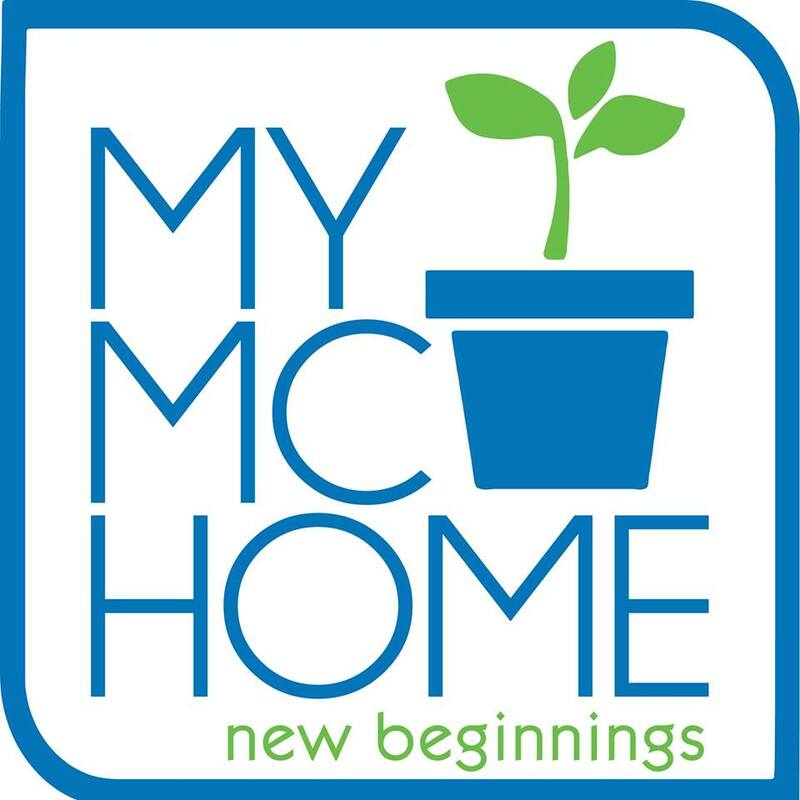 Your home looks as chic as you dress -- do share too!